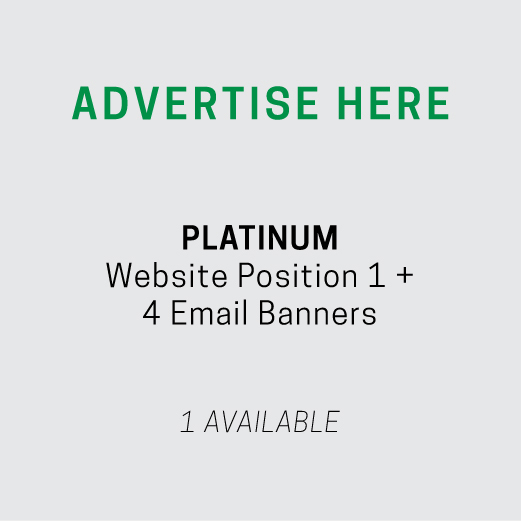 View cart “Premium Advertisement (Platinum)” has been added to your cart. Premium advertising (gold) with a static ad in position 2 that is visible in the left menu of the website as users browse the site and a rotating e-mail newsletter banner for 3 e-mail newsletter issues. Premium advertising (silver) with a static ad in position 3 that is visible in the left menu of the website as users browse the site and a rotating e-mail newsletter banner for 3 e-mail newsletter issues. Premium advertising (platinum) with a static ad in position 1 that is visible in the left menu of the website as users browse the site and a rotating e-mail newsletter banner for 4 e-mail newsletter issues.